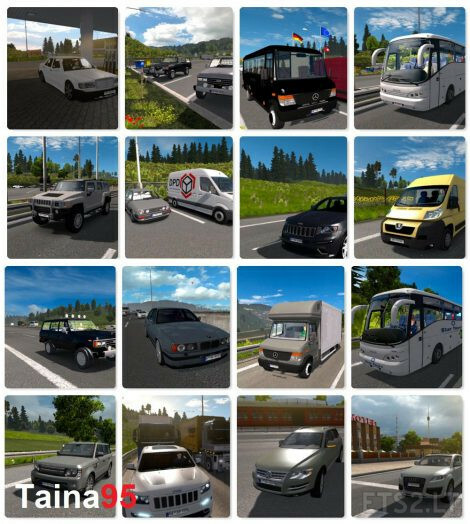 Taina95 Srele SCS Software(original models), alper93, satan19990, VINZEL,Eden Games, Atari, Serj999, kirill73rus, rusRafal, fabricen,DragonModz. 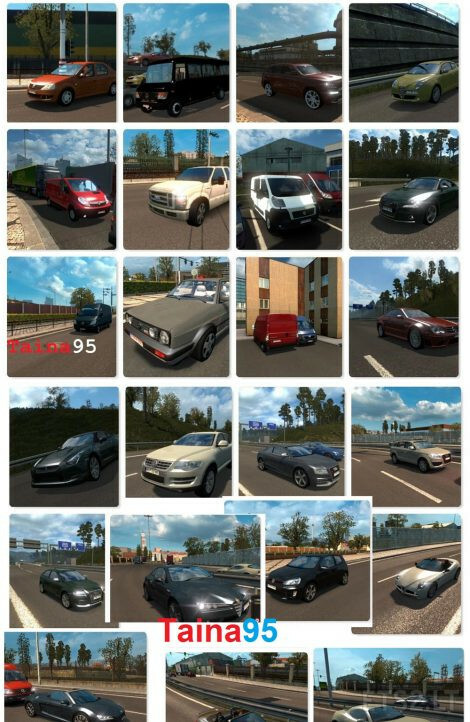 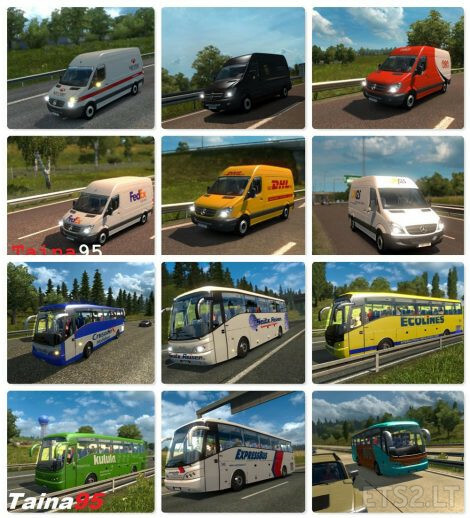 nice mod with nice cars especially because this is a great addition to Jazzycat Ai traffic that has not many vans. thus the spawn of some cars seems too high (BMW) and as the archive is locked cannot be edited. 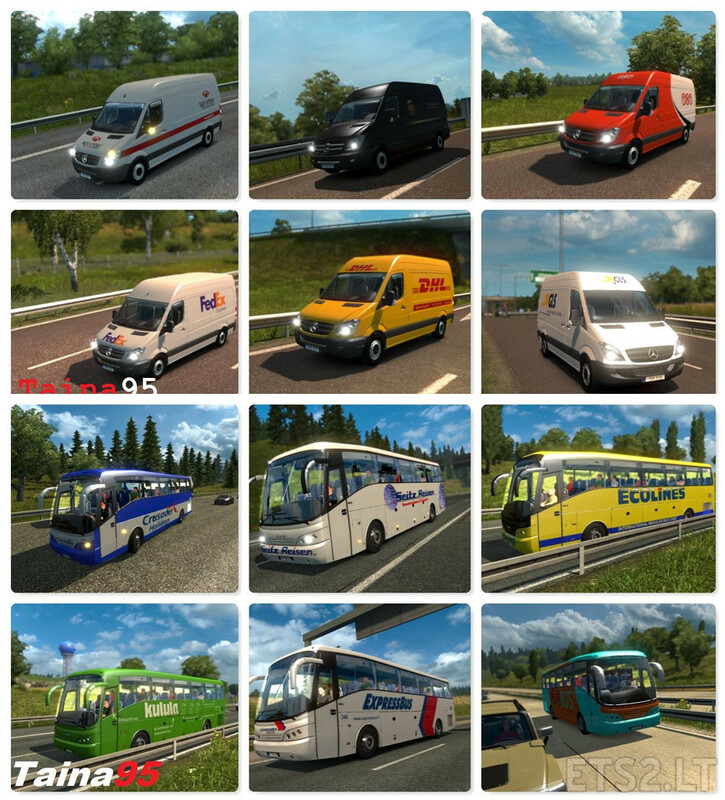 I expect a huge spawn when driving on non EU countries as it has spawn files only for the default scs map. Can you share some vehicles for Jazzycat?